This is a piece that I’ve wanted to write since the first time I saw Bicentennial Man. I thought it was some of Robin Williams’ best work. The premise of the story made me uncomfortable. It helped crystalize my thoughts and feelings I had on robotics that had been percolating since the first time I saw the Jetson’s robot maid. I watched the progress of robotics with excitement and trepidation. I saw us employ robots to build cars, vacuum our floors, wash our dishes, and entertain us. The entertainment category spans from robotic pets to the fighting variety on shows like Robot Wars. A very long time ago, it struck me that what we were really after was a servant class, a slave class that provided all the benefits of slavery without the guilt associated with the practice. There is a subtile difference between a servant and a slave. We are not after servants. We can have servants right now, and many do. The problem with servants is that they have to volunteer for the position, we have to pay them, and in some small way, we still have to treat them like people. If you have ever worked in the service industry, you know just how small that way can be. No! What we really want is a slave. We will never admit it. We will vociferously deny it. But what we want is a class of servant that we can conscript, never pay beyond routine maintenance, and never have to consider things like human dignity and egalitarianism. That is not a servant, but a slave. If you are at all excited about robots and the future of robotics, ask yourself exactly what it is you want from future robots. What excites you about the possibility of owning your very own robot? As a child, I had some definite thoughts on the subject. Of course I wanted companionship, a friend who would always see things my way and always take my part in a dispute. It was the kind of human friend I seldom had. I also wanted him to do my homework for me. What would be the point of doing homework when you have a robot? I wanted him (as a child, it was always a him) to be my personal driver and assistant in all things. Naturally, he would complete all my chores and keep me safe from bullies. Once I contracted the degenerative disease known as maturity, my vision of robots expanded to include matters of industry. I wanted my robots to be able to do difficult and dangerous work, entertain me with sporting prowess beyond the capabilities of humans, and look after my interests both personally and professionally. 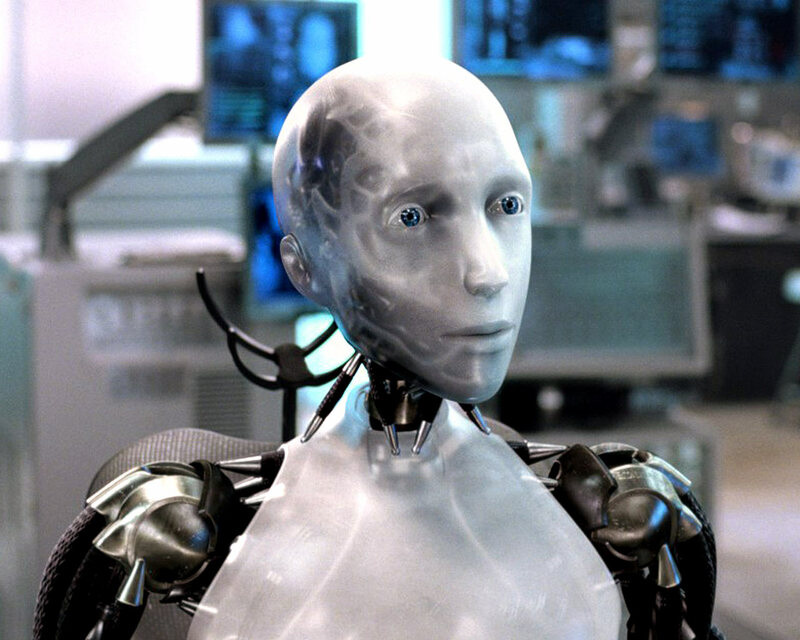 Oh, and I also considered the benefits of female robots, androids… you know what I mean. Then it dawned upon me that I didn’t need to look to the future for this type of automaton when the past was lousy with examples. Slavery has been around for thousands, and probably millions of years. It has provided people of questionable character with all of the benefits for which I longed. That gave me reason for pause, and forced me to question my own character. For countless centuries, slaves have provided companionship, household and field servants, and entertainment, be it as a chess companion or a gladiator. They have served all roles from personal driver to accountant. They have built great monuments that soar above the earth, and been discarded in the rubble just beneath its surface. Oh, and there are the female slaves to consider. It was a sobering thought to realize that my fantasy for a future automaton differed little from the avarice of former slavers. My obvious justification was that I would not be using humans to fulfill my goals, but machines. But our race to make machines more like humans somewhat puts the lie to that claim. We have dishwashers that scrub our dishes, but they look like boxes. We have vacuums that scrub our floors, but they look like circular rodents. What we want is Rosie the robot: something that looks and behaves like a human, but is still a machine. Then I saw Commander Data, and Bicentennial Man, and Battlestar Galactica, and I knew we could do much better. Siri, the iPhone’s digital personal assistant is an eerie, first step. Apple is not building android bodies; they are programing an android personality. (By the way, Google is working on android bodies. They are into more than free operating systems.) The magic of Siri is that we can talk to her like we would a human assistant, and she responds in kind. I like that. The scary thing is how often I verbally abuse her in ways that I would never do to a human assistant who made a slight error. Is it possible that we like Siri’s humanity precisely because we can treat her with such inhumanity without repercussions? We can make her work for us, we don’t have to pay her, and we can interact with her without regard to dignity or respect. Cursing a Roomba isn’t nearly as satisfying. Then, there is the matter of clones. Automatons do not have to be mechanical. Clones represent the Holy Grail of automatons because they are not just like humans; they are humans. The difference is they are created outside of the natural processes. That gives us the right to think of them as something other than human. Religious people would think of them as humans without souls. With clones, we can do things without guilt, that would be war crimes if done to humans. We could harvest organs without conscience. We could put them in chains, use them as a free labor force… Oh, and there are the female clones to consider. Clones are the ultimate expression of our desire to create a class of people that we don’t have to treat like people. What if we could staff factories with clone workers that we never had to pay? What if these workers has no rights and no unions, and no one to make us feel guilty for using them that way? What would you do with an android/clone that was built to order just for you? Would it bring out the nobility in you, or the savage? I fear that nobility would not be among the words chosen to describe my uses for such a creature. I conclude with this troubling thought: What happens to us when we finally get what we’re after? Science fiction has explored this question, and it never turns out well. What does it mean to be a human when we are finally freed from scrubbing dishes and floors, when there is no more homework to do, and all the industrious labor is done? What is left for humanity once we have stables full of willing androids? Do we all become worthless poets and musicians? As a poet and musician, I can honestly say that I would not want to live in such a world. If idle hands are the Devil’s workshop, what will we do with our hands to keep them busy? What will we do that we will not decide later, is best done by an automaton? I believe there is something fundamentally broken in the human spirit when we see a task to be done, and decides that it would be better if someone, or something else would do it for us. In that way, I am fundamentally broken, and I am ashamed. No, I am not going to get rid of my dishwasher. I don’t like scrubbing dishes. Yes, I would buy a robot that did all my chores. Yes, I want Siri to become even more human-like. But I am still uncomfortable with where we are headed. I am not worried about the feelings of our tools. They have no feelings. When I insult Siri, she does not cry. But what of me? Using our slave machines does not harm the machine. But what does it do to those of us who use them? Does it make us lazy and entitled? Does it teach us to enjoy treating human servants in inhuman ways? Do you regard the person serving up your fast burger the same as you regard your doctor? In my opinion, humanity is not ready for a servant class of automatons. I believe our intense desire for it is evidence that we should not have it. I do not like the kind of human that owned other humans as slaves. And I don’t think I would like the kind of human that owned human-like automatons, even if that human is me.